In recent years, wireless ad-hoc networks which do not use network infrastructure are getting more important in various applications like vehicle-to-vehicle (V2V) networks. Especially, it is easy for nodes to communicate with one another without network infrastructure like access points and base stations. Here, ad-hoc routing protocols are needed to deliver messages to destination nodes. In wireless ad-hoc networks, neighbor nodes with which each node can directly communicate may be changed, e.g due to movement of nodes and faults of nodes. Besides, since nodes in ad-hoc networks work with their electric batteries, it is required to reduce electric energy consumed by nodes to send and receive messages. It is difficult to always find a best route to a destination node due to complex parameters like band-width and message loss ratio. 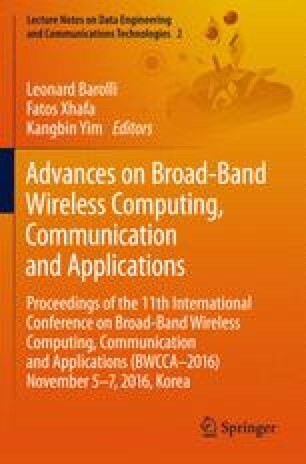 In this paper, we newly propose a reliable one-to-one communication protocol named TBAH (Trustworthiness-Based Ad-Hoc communications) protocol where routes to the destination nodes are found by using the fuzzy logic in wireless networks.